 AMA: 1 in 5 Medical Claims Incorrectly Processed - ONRAD, Inc.
HealthLeadersMedia | The AMA is urging physicians to take action against inaccurate payments from private health insurers. As part of the launch of its “Heal That Claim” campaign, the AMA is supplying physicians with tools to fight flawed and inefficient claims processing by health insurers. One out of five medical claims is processed inaccurately by commercial health insurers, according to the AMA’s National Health Insurer Report Card. A 20% error rate represents an intolerable level of inefficiency that wastes an estimated $15.5 billion annually. The administrative costs of ensuring proper insurance payments takes a heavy financial toll on physicians and can consume up to 14% of their earned revenue, says AMA president Cecil Wilson, MD. “The AMA’s goal is to significantly reduce the administrative costs of processing claims from 14% to 1% and allow doctors to focus on caring for patients instead of battling health insurers over delayed, denied, or shortchanged medical claims,” Wilson says. Because health insurers often increase their rate of claim denials during the last quarter of the year, many more physicians may have just experienced such activity and will appreciate the reason for the campaign, Wilson says. He urges physician practices to take the initiative in improving the accuracy of claims, rather than waiting for insurers to do it. The AMA is helping physicians overcome claims obstacles by offering online resources to help prepare, track, and appeal claims. These resources include template appeal letters, printable checklists, and logs that help physicians simplify their claims management system. To learn more about how the AMA is helping physicians get paid accurately by health insurers, please visit the “Heal That Claim”campaign site. At the site, physicians can pledge support for the campaign, report any unfair health insurer practices, share successes, or sign up for the AMA’s free e-mail alerts to help stay up to date on unfair payer practices.